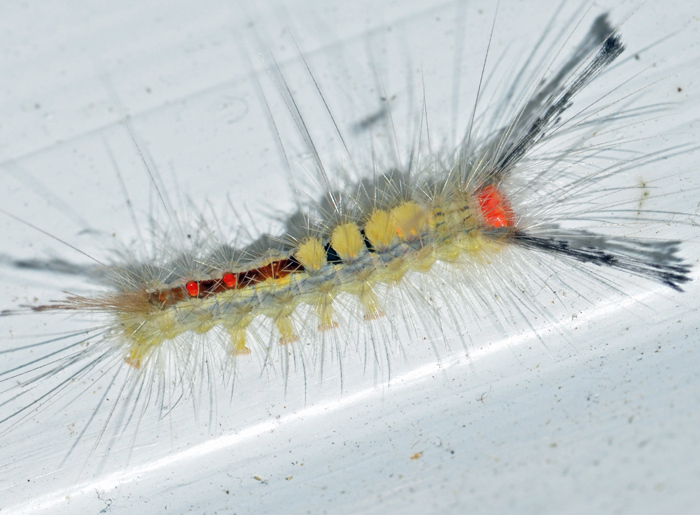 (White-marked Tussock Moth) - imm. Size: approx. 20 mm. Photo: 06/20/14, 11 am. 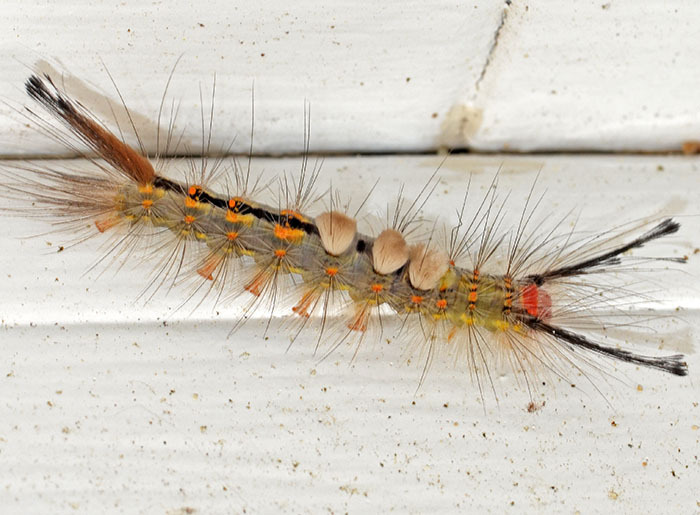 A caterpillar of the White-marked Tussock Moth. 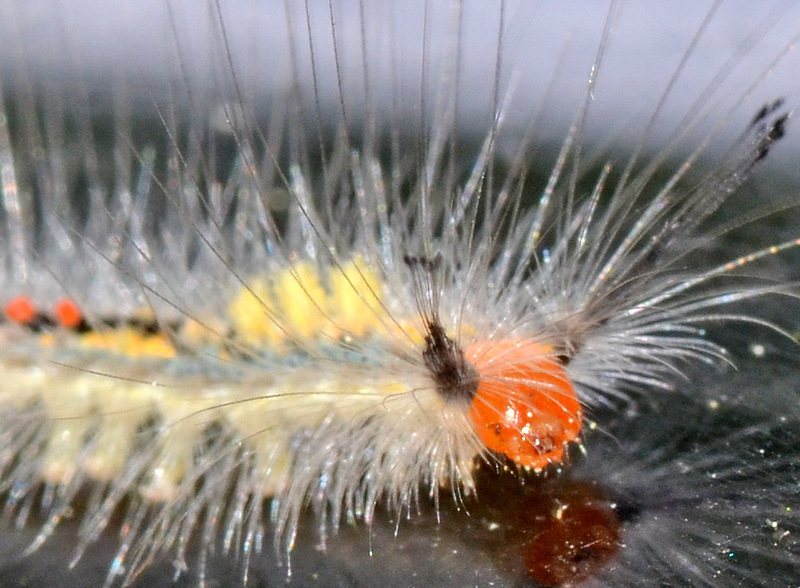 The bug guide warns that the hairs of this caterpillar are "known to cause allergic reactions". It feeds on an extremely wide variety of trees. The fungus Entomophaga maimaiga, which was introduced to control the gypsy moth Lymantria dispar, is known to infect O. leucostigma. The small photo shows a different specimen (04/14/18). Orgyia detrita - Hodges#8313 (Fir Tussock Moth) - imm. Citing from Wagner "Caterpillars of Eastern North America", p. 450: "The sides of the body are gray and supraspiracular warts are orange; the black middorsal stripe is flanked by yellow spots on A4-A7." The second link also describes a rather different looking, darker version of the caterpillar. The one shown here is strange because it has only three (rather than the normal four) of those distinct, beige "brushes".